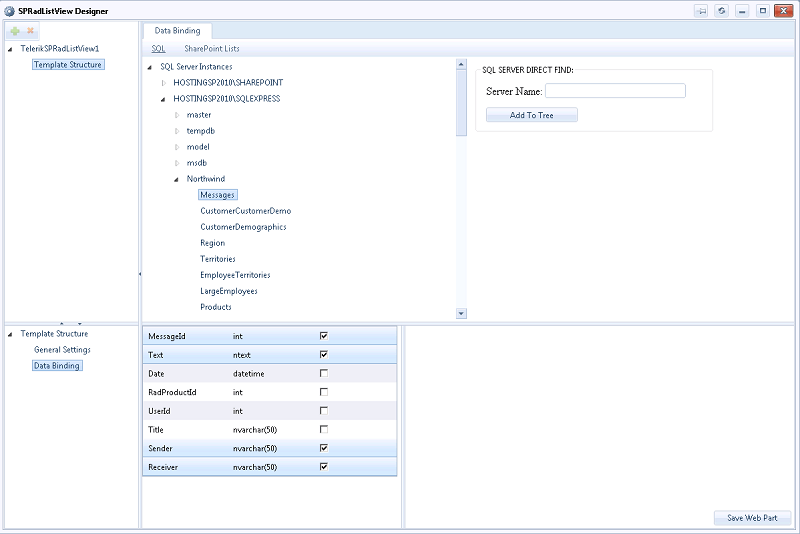 TelerikSPRadListView Web Part features the Telerik RadListView control integrated into a dedicated SharePoint 2010 web part. 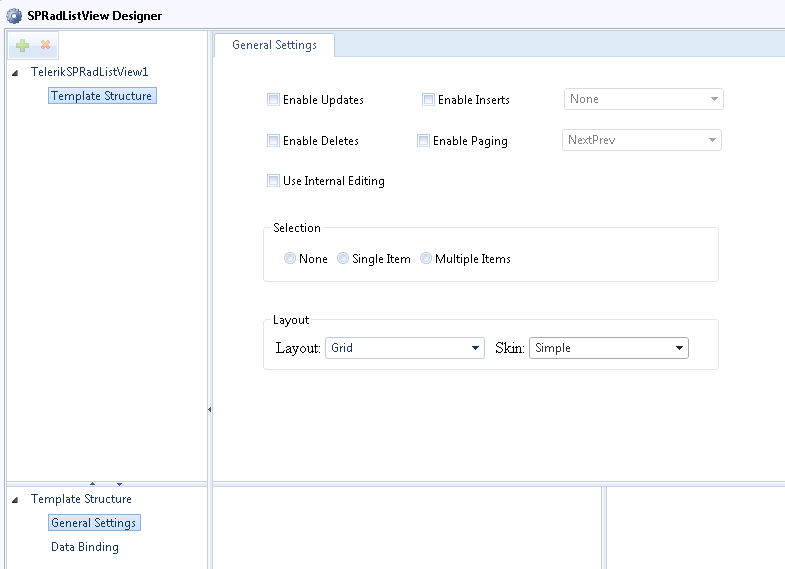 It comes with the five predefined layouts already known from the RadListView's designer and allows for automatic insert/update/delete operations, item selection and paging. Particular attention should be paid to the Binding Mode property. 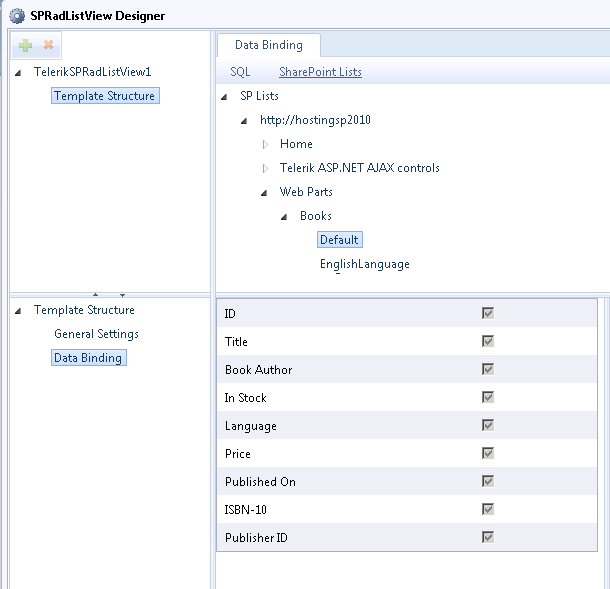 The relevant Binding Mode options are respectively: SQL, SPList and Single SP List.You should choose SQL if you have previously bound the list view control to a SQL Server database table through theSPRadListView designer and now you need just to set some of its properties through the ToolPart.That means that the list view control will remain bound to the SQL table but its properties will change in accordance with the settings in the tool part. 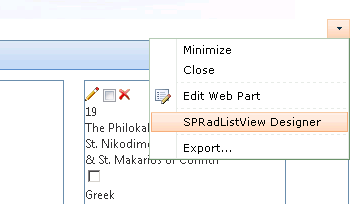 The same goes for the SPList option the only difference being that in this case you should have the list view control previously bound to a SharePoint list. 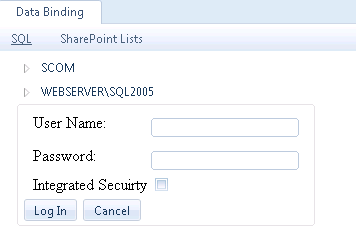 Single SP List should be chosen when you need not only to adjust the list view properties but also to bind the control to a single SharePoint list that you need to choose through the List settings combos.